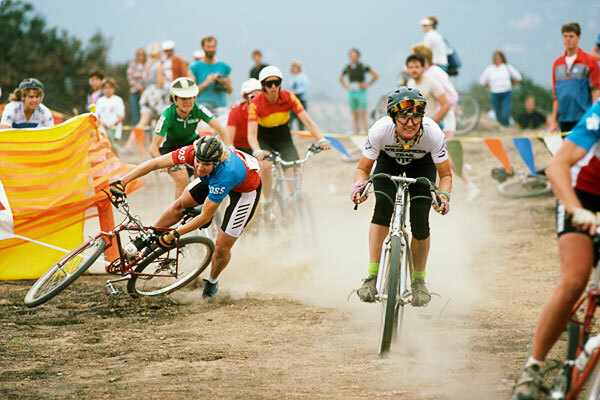 In her day Jacquie Phelan was the fastest woman mountain bike racer of all time and won the NORA championship three years in a row from 1983 until 1985. 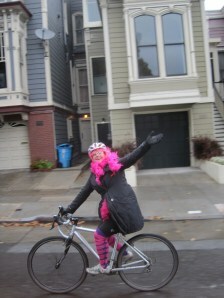 She was always a bit of a character with her drop bars, polka-dotted tights and the pet rat hidden in her racing jersey. With her infectious smile she made friends easily and was known in racing circles as Alice B. Toeclips in homage to Alice B. Toklas. Of course you have to be a mildly literary type to recognize Alice B. Toklas as the lesbian partner of famous writer, Gertrude Stein. Together they hosted a salon in Paris which attracted expatriate American writers and well known painters. Stein published a memoir of her Paris years, The Autobiography of Alice B.Tolkas where she used Toklas as a feminine counterpoint to her own overtly masculine personality. Jacquie Phelan co-founded NORBA in 1982, and was a charter member of IMBA. 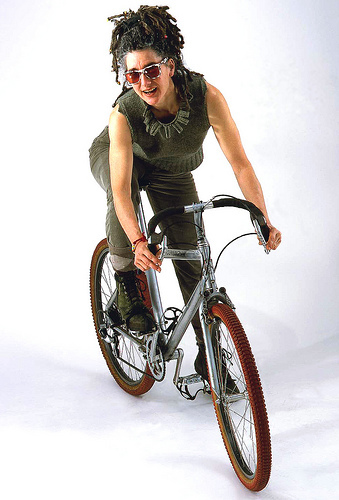 She was inducted into the United States Bicycling Hall of Fame in 2000 and created the sport’s first off-road skills camps, “The Fat Tire Finishing School”. Her skills camp was anything but a charm school. 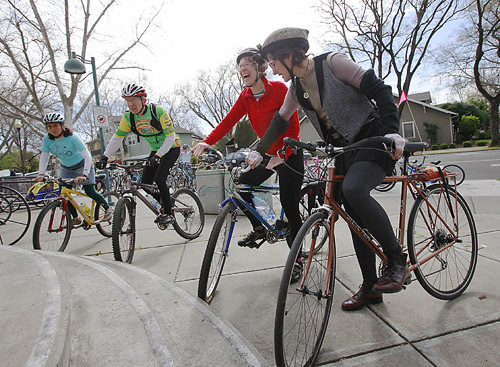 It was organized to teach women the joys of mountain biking. In essence it was about getting down and dirty and not about teaching social etiquette. The name is a tribute to Jacquie’s zany sense of humor. 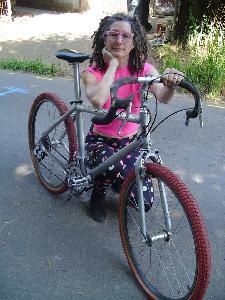 Jacquie is married to Wilderness Trail Bikes co-founder and inventor, Charlie Cunningham, who built extremely light, heat treated, aluminum framed mountain bikes. Phelan raced his bikes and was unbeaten during a time when his ultra-light aluminum frames were considered too fragile and stiff by the standards of the established steel frame makers of the day. Cunningham is an inventor and designed, among other things, the first roller cam brake and the grease guard bearing system. He was the quiet genius in counter point to Phelan’s rambunctious outgoing personality. 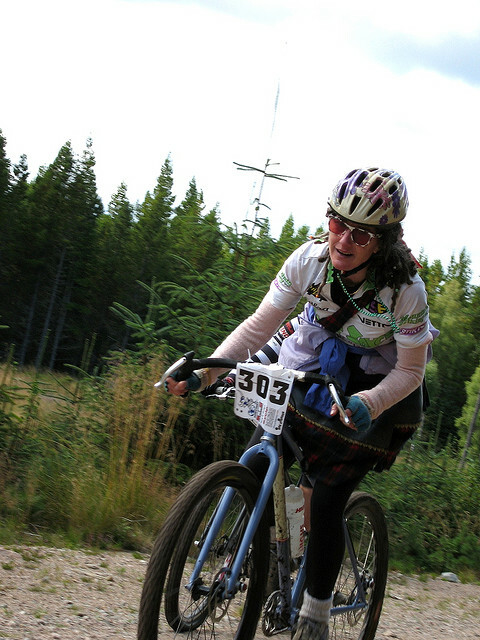 When I first started racing mountain bikes I just wanted to beat Jacquie Phelan because she was the best woman mountain bike racer and always got written up in the magazines. For all my racing success, I never beat her. This was mainly because I was a devil may care down hill racer while she was a proficient climber. Climbers have an intrinsic advantage because even if a race begins and ends at the same elevation there is always way more time spent on the climbs than on the downhills. No matter how much faster I was on the downhill portion of the course she always beat me to the finish line. Well not always… I particularly remember one race where I got lost early on and where she caught up with me after getting a late start. She passed me going up a steep hill. When we got to the downhill I flew down and passed her back: That is until I crashed hard and she went by without even realizing that I was laying dazed in the bushes beside the trail. I caught up with her at the bottom and we decided (she actually suggested it) that we cross the finish line together holding hands. I was ecstatic. Not only did I not have to risk loosing a sprint finish, but my heroine had agreed to cross the finish line with me. We finished with our clasped hands held aloft in celebration. It wasn’t until the race was over that either of us realized how bloody and beat up I was. She was always a character and very funny to be around. In the beginning she did not approve of my riding buddies “The Berkeley Trailers Union” or BTU (Big Tough and Ugly). They were a testosterone infused band of blue collar downhill single speed racers (and party people) who had taken up mountain bike racing when the sport started getting popular in the late eighties and early nineties. I first saw Pepe of BTU fame on the School of the Blind Trail which is a steep, gnarly and unbelievably rough trail that you can still see snaking down the hills above Berkeley. He was on a single speed and wearing hockey pads and a hockey mask. He released the brakes at the top of the hill and when he got to the turn flung the bike sideways and brushed off speed sliding through the corner like a flat tracker. Just watching him took my breath away. When I tried to emulate him by letting go of the brakes at the top of the hill I gained speed so quickly that I panicked and grabbed the brakes again which caused my bike to start hopping sideways. I made it to the bottom in one piece but never tried releasing the brakes on that trail again. In the end I met various members of BTU on the trails in the hills behind Berkeley and Oakland where I lived. I started doing the Sunday morning rides and then racing with them on the weekends. That being said, I didn’t hang out much afterwards because I wanted to go home to my beloved husband (Chuck) more than I wanted to party with my riding buddies. I had to keep my mouth shut when they made sexist remarks about the girls we passed driving in the car on the way to the trail head. Of course the girls couldn’t hear their coarse language and nobody’s feelings were hurt. Having spent a lot of my youth racing motocross I was pretty immune to that kind of talk and didn’t let it bother me too much. 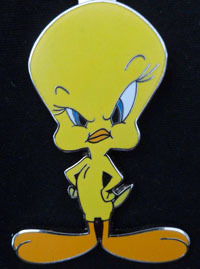 Being a member of the BTU racing team did not earn the respect of an egotistical woman like Jacquie. But once Jacquie got to know them better they became good buddies. My BTU teammates were on their best behavior when they were hanging out with her. This was because she had a reputation for beating a lot of the guys, but more importantly because she had a great sense of humor and they enjoyed her company. This interaction was pretty impressive considering her women’s liberation point of view and their testosterone infused banter. For me it all happened a long time ago, and I haven’t raced or ridden with BTU for over twenty-five years. And it has been even longer since I have seen Jacquie but it all goes to show what an incredibly humble and yet creative person she is; especially considering her fame as a racer, her witty repartee (she wrote for Fat Tire Flyer among other off road magazines) and her advocacy for women mountain bikers everywhere. Way to go Jacquie! This entry was posted in Racers. Bookmark the permalink. 3 Responses to WHO IS JACQUIE PHELAN? That’s a Nice story Diane. Diane, I wish I knew how to reach you. Lovely story, saw it for first time today, Aug 28, 2018! THANK YOU. You are an extraordinary person with a great sense of humor. I ride mostly my road bike when the trails are wet and soggy.. You can contact me at 510 260 6879.